Today we’d like to introduce you to Erica Lugbill. I am the founder and creative director of Lugbill Designs, a Chicago bespoke firm specializing in both home styling and full renovations. My passion for interior design was cultivated through my education, a love of travel, fashion and several years spent working as a lead designer at several high-end design firms in Chicago. 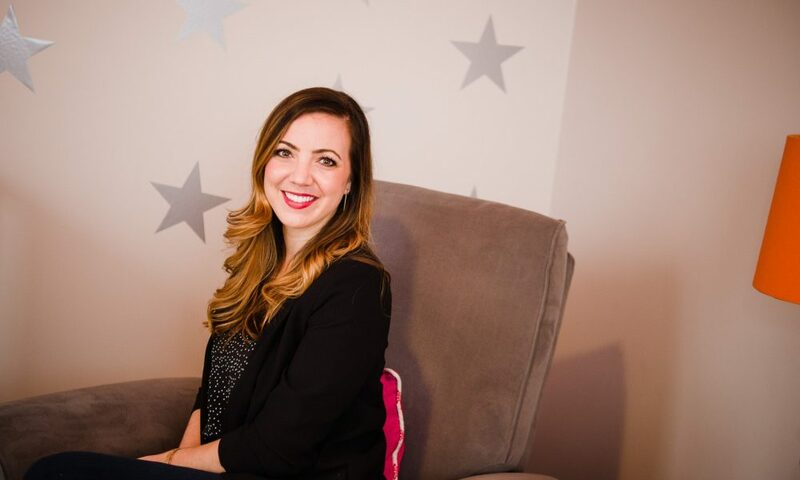 After working in the interior design industry for a few years, I became determined to bring a fun and relaxed approach to the interior design process and, as a result, started my own company. People should love the space they live in and I believe collaboration must be a priority in order to create a room or a home that truly embodies a client’s personality and lifestyle. It was a relatively smooth process starting Lugbill Designs. We were able to start the business small and build a really great foundation which set us up for success. As with any startup, there were a lot of long hours and short weekends, but it’s beyond worth it to see the business grow into what it is today. The largest struggles have been finding a work-life balance and building our large network of trusted vendors and contractors. We handle everything for our clients, including the project management and all that entails, so our partner vendors and contractors are really important to the work we produce. Since starting Lugbill Designs in 2010, our firm has acquired a depth of experience designing and managing interior design projects across the Chicagoland area that involve full renovation and new construction. We often tear a home down to studs and reinvent it. Our team loves offering clients a “choose your own adventure” approach to interior design- there is no one size fits all, what works for one client’s life won’t work for another. Building a relationship with clients so that we know the design will work for their life is essential. We’re passionate about making clients homes work for them in a way that only true customization can achieve. Great design is functional and if it’s not, it’s not great design. It’s common for a client to be unsure of where to start when wanting to update their home and the question of what their style is may be daunting. Interpreting a client’s style is our first order of business and essential to learning what a client is drawn to in order to determine an aesthetic direction. The practical needs of a space must also be determined because that will allow us to create great comfort and while maintaining the feeling of attainable luxury. The way we look at it is that life is remarkable and your home should reflect that. I think my ability to connect with my clients and make the process more relaxed, less stuffy, and seamless from start to finish.